C.A.L.M. MUMS Members’ Club – Is Now OPEN For Enrolment! Understanding yourself and learning to like the real you is the essence of becoming who you truly want to be! 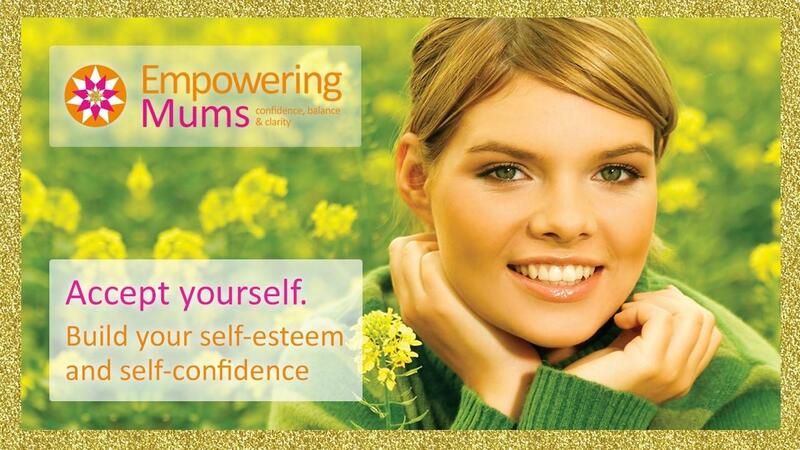 The Empowering Mum’s Accept Yourself And Build Your Self-Esteem And Self-Confidence e-book is designed to help you truly accept everything about yourself and, through a journey of self-acceptance, increase your self-esteem and achieve greater confidence, balance and joy, with the aim of living life according to your true beliefs and aspirations. This e-book provides exercises and principles to help you on your journey of self-development and enables you to truly accept yourself by adopting life-changing techniques that improve self-esteem and self-confidence. Do you accept yourself and like yourself the way you are? Do you feel valued and needed? Do you accept criticism without feeling put down? Do you speak up for yourself and share your true thoughts and feelings? Do you take time regularly to take care of yourself in every way? Do you approach most situations with confidence? If you answered ‘yes’ to all of these questions, you probably accept every aspect of yourself and, as a result, have a high self-image and self-worth, incorporating high levels of self-esteem and self-confidence. However, if you answered ‘no’ to any one of these questions, you can greatly benefit from this e-book. By embarking upon a journey of self-discovery and self-awareness, you will learn to stabilise and strengthen your self-esteem and self-confidence by beginning to truly accept and like every aspect of yourself. By embarking upon a journey of self-discovery and self-awareness, you will learn to stabilise and strengthen your self-esteem and self-confidence by beginning to truly accept and like every aspect of yourself. Add your details below to be first notified of further details of this fabulous new CALM MUMS Members' Club - helping mums create easier, happier lives!